The Who are a British rock group that emerged from the mod movement in the early 1960s to create some great power pop singles – My Generation, Substitute, Pictures Of Lily – before producing some of the most interesting concept based albums in the late 1960sand early 1970s. The members of The Who for their peak years were Roger Daltrey (lead singer), Pete Townshend (lead guitar), John Entwistle (bass) and Keith Moon (drums). Keith Moon died on 7th September 1978. The Who are one of the greatest live bands ever and The Who Live At Leeds is often considered to be one of, if not the greatest live album ever. The Who at their best represented everything I could want from a live band. High energy, loud, aggressive playing combined with terrific songs with great melodies. And the members of the original group were great characters with their own clear identities. If you’re a fan of live albums, you need at least one recording of The Who live in concert. What are the best Who live albums? What Are The FOUR Best Live Albums or Live DVDs By The Who? You can get these albums from Amazon.com and Amazon.co.uk. To help you find the best live albums, I have created polls for readers to vote. I’ve posted some videos from Pete Pardo from the Sea of Tranquility website on The Who. The Who are responsible for one of the all-time greatest live albums in The Who Live At Leeds (along with two other live performances from the same year in The Who Live At Hull and The Who Live At The Isle Of Wight). Yet they are also a band that frustrates me. We’ve had a stack of live albums from their various revivals but we’re short of that blockbuster they must have in the can from the mid 1970s. The best of the post 1970 live albums by The Who is The Blues To The Bush, in my opinion. 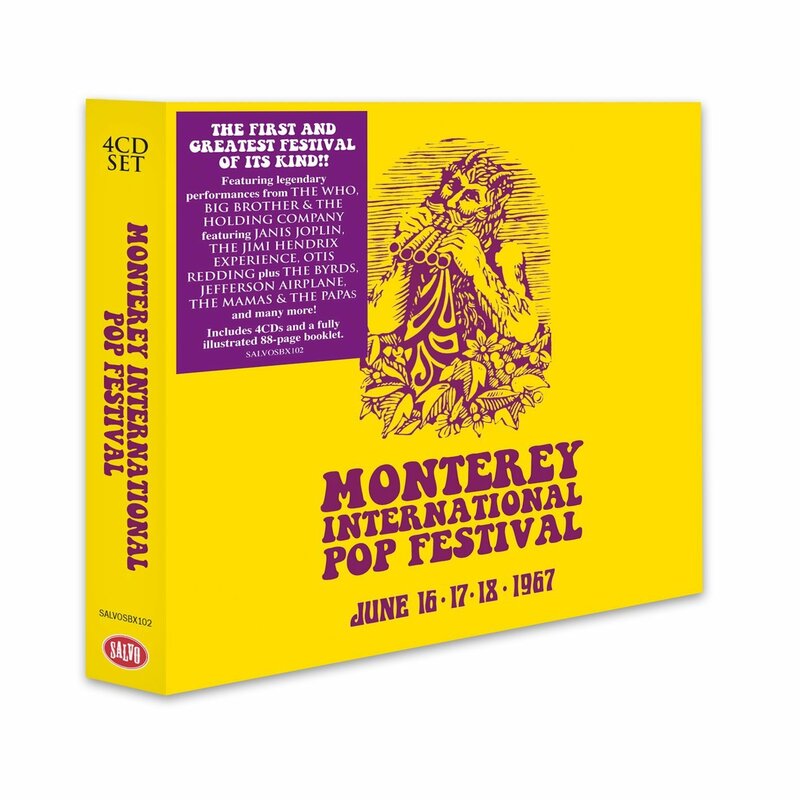 Monterey International Pop Festival is a box set of four CDs containing 70 tracks from the festival on June 16 to 18, 1967 covering many different artists including Jimi Hendrix, Otis Redding, The Who, Jefferson Airplane, The Byrds, The Mamas and The Papas and others. There is also a two CD version with 26 tracks but, if you get that, I suspect you will keep wishing that you’ve spent a little more for this one and bought the newly released tracks on mp3. 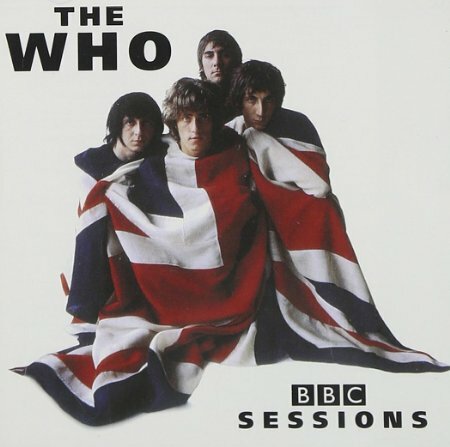 BBC Sessions is a collection of live in the studio sessions recorded by The Who for the BBC between 1965 and 1973. 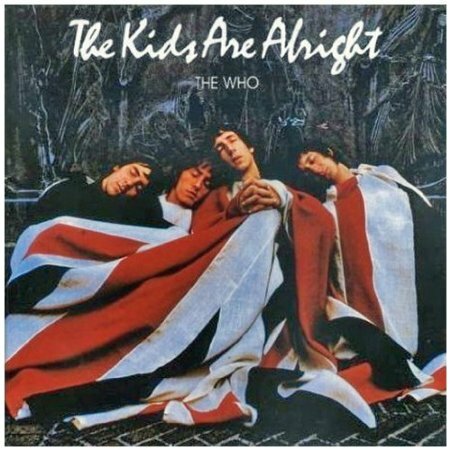 The Kids Are Alright is a film and live soundtrack album by The Who. The recordings range from July 1965 through to May 1978. When it was released back in 1979, fans were extremely grateful to have more live recordings from the band. Incredibly we only had the original six track Live At Leeds. 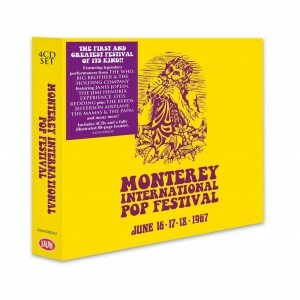 Since then many more live recordings have been released including other compilations. I love The Who and they may even be my favourite band. For the last 40 years I’ve wanted a live album based around Who’s Next and Quadrophenia but sadly, it’s not Quadrophenia Live. It’s not bad but nor is it essential in my opinion. Quadrophenia is a terrific studio album and, at the time of writing this live album review, it’s on sale at Amazon.co.uk for just £3.99. That’s a steal for one of the best classic rock albums from the 1970s. It feels the story of the struggles of a young mod in the 1960s who suffers from schizophrenia and has four personalities. Whilst it’s not the most uplifting of stories, the music itself is rousing both individually, song and song and collectively. What we have here is Quadrophenia with a few of the later greatest hits tacked on the end together with the lacklustre Tea & Theatre which is a poor way to end the show. Perhaps The Who’s live audience demand to hear most of these but I think it would have been much more interesting to hear some of the Meaty Beaty Big and Bouncy early hits played before Quadrophenia to help set the mod scene. From a live album perspective, I’m not sure that we need another Pinball Wizard, Baba O’Riley or Won’t Get Fooled Again. A more imaginative song selection would have justified a 10/10 rating. The two members of The Who, who are sadly no longer with us, appear with John Entwistle’s bass appearing in 5:15 (and it roars) and Keith Moon’s voice on Bell Boy. Overall I think they do a good job of performing what is supposed to be a difficult set of songs considering the two main characters are in their late 60s. The original Who didn’t like performing many of these songs live and therefore, they were quickly dropped from the regular set. I can understand some criticisms of Roger’s voice compared to the great singer he was in the 1960s and 70s but it’s unrealistic to expect it to remain unchanged for 40 years. The same applies to when Pete sings. Two out of four original members keeps this away from being a tribute album but I can’t overlook the issue that this is half The Who playing Quadrophenia 40 years too late. I’ve always regarded all four members of The Who as essential as Entwistle and Moon created that thunderous roar. Replacements may play the same notes and keep the same rhythm but something is lost in the tone. That’s two points dropped. There’s very little interaction with the crowd. Pete Townshend used to introduce songs from Quadrophenia with an explanation of the story and that might have been nice to revive. I’m in danger of over-penalising the album in this section but I think a rating of 7/10 is fair to generous. I feel mean with that rating which would just tip into four stars if I was writing this review on Amazon but it sums up how I feel. It’s a good but not great live album. The 1970 recordings of Tommy on Live At Leeds, Hull and the Isle of Wight gave Tommy bigger balls and chest hair. The studio album always sounded wimpy to me. Join Together added brass and at the time when the album was originally released, it was the first live version of Tommy. They all had a purpose that extended beyond being a souvenir for the people at the gigs. I’m not sure how often I’m going to play this live album. If I want to listen to Quadrophenia, I think I’ll turn to the studio album with all four original members rather than this live version. There are a few great missing live albums and The Who live between 1973 to 1975 is one of them. The run of albums from Who’s Next to The Who By Numbers is my favourite period. I haven’t seen the video of Quadrophenia Live In London so I can’t comment about the more expensive versions of the release. I worry that I might have the same problem as I had with Led Zep’s Celebration Day, old men playing hard rock. What Are The Other Live Albums By The Who? The Who Live In Leeds 1970 (this is the classic that is regularly rated as one of the best live albums ever released). 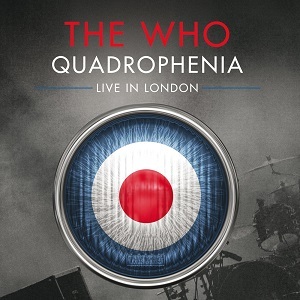 I have included Quadrophenia Live in the best classic rock live albums poll. The Rolling Stones Brussels Affair1973 – guitarist Mick Taylor is superb on this one. Peter Frampton Comes Alive – I don’t understand its popularity but all those people can’t be wrong, can they? Won’t Get Fooled Again is one of The Who‘s most famous songs. It first appeared on the Who’s Next album released in 1971 which was produced from the aborted Lifehouse project. 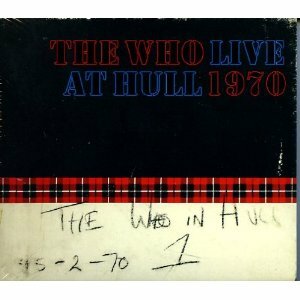 Live At Hull by The Who is a sister album to Live At Leeds. I haven’t heard it and at the moment I don’t want to hear it. 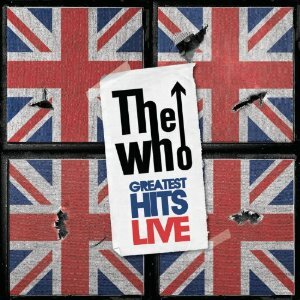 Greatest Hits Live is a compilation of The Who‘s best known songs played live in concert spanning over 40 years from 1965 to 2009. 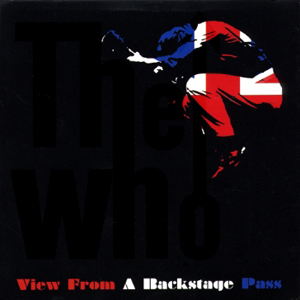 View From A Backstage Pass is a live compilation album by The Who released in 2007 to subscribers of TheWho.com. 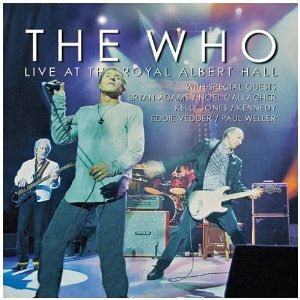 Live At The Royal Albert Hall is a live album by The Who recorded on 27 November 2000. This is the same version of the band that is so good on Blues To The Bush. It was a charity gig for the Teenage Cancer Trust and this attracted some big name guest stars… but do you really think they are better singers than Roger Daltrey?